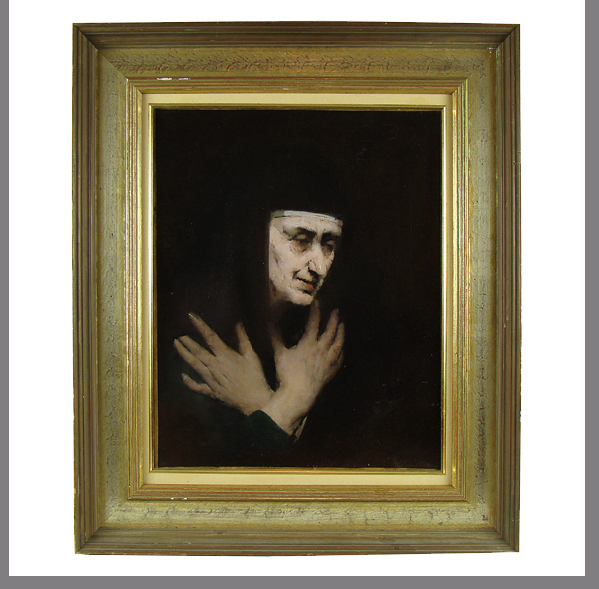 18th Century Oil on Canvas Portrait of a Pious Nun. Gilt wood frame dates later and has minimal losses including a thin shard from the outer edge. Framed measurement of about 29"x24.5".